Whilst there are some impressive walks to do on The Mornington Peninsula we don’t recommend you try walking everywhere. Here are a couple of options for you. …provides private & public wine tours of the Peninsula that are completely focused on you, our valued guests. Our aim is to provide the best day possible for your group. 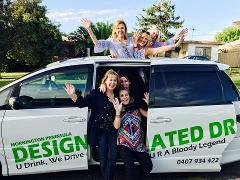 …shuttles to and from your choice of wineries, restaurants and venus on the Mornington Peninsula in comfort with a reliable and professional local driver. …offering sightseeing circuits, cellar door and farm gate circuits, private tours and a shuttle service, Ridge Rider will make sure you maximise your visit. …bringing people together for a barrel of laughs & D + M’s at the Mornington Peninsula’s best boutique wineries & breweries. …custom mountain bike shuttles and lessons from qualified PMBI and MTBA coaches around the regions MTB trails. …Frankston Radio Cabs operates 60 taxis which include 4 seat sedans and station wagons, and 13 wheelchair accessible vehicles. 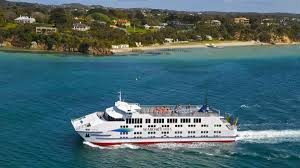 …travel by bus along the Port Phillip coast from Frankston through Mornington (express Frankston to Mornington) to Dromana, Rosebud Rye and Sorrento and Portsea. The Frankston-Portsea bus follows route 788 and departs approximately every 45 minutes Monday – Friday, every hour Saturday and every 2 hours Sunday. …choose the scenic option and spot dolphins as you make the stunning ferry crossing from Queenscliff on the Great Ocean Road to Sorrento. Searoad Ferries depart daily from Sorrento Pier and Queenscliff Harbour, every hour on the hour from 7am until 6pm, all year round.